The Strata Apartments near DIA is one of the rental communities in the Denver area experiencing strong leasing and absorption. The sound you are not hearing is the other shoe dropping regarding the local rental housing market. For several years, even some industry leaders have been projecting that Denver’s bull market for rental units was going to run out of steam. With an apartment crane seemingly on every block, overbuilding would lead to far too many apartment units, increasing vacancies and driving down rents, the thinking went. 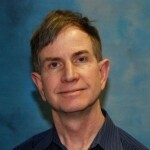 How can there possibly be enough demand to fill the 10,000 or so new rental units coming on line every year? Especially since most of the rental construction is for expensive, luxury units? 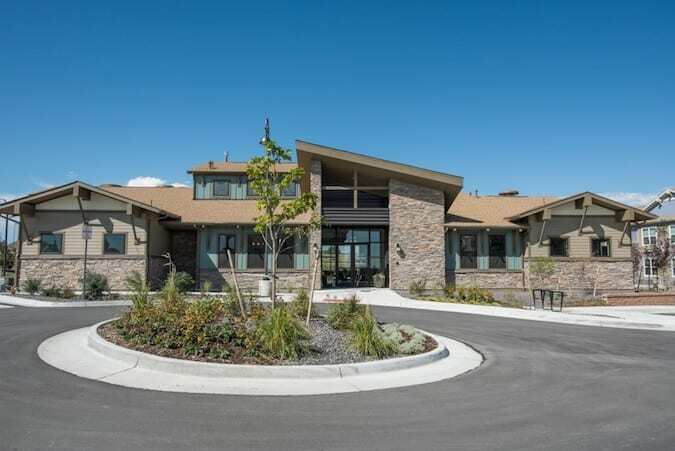 The Rige at Wheatland apartment community in Aurora is one of many rental communities in the metro area experiencing strong leasing activity and absorption. And yet, the latest data from apartment rental sage Cary Bruteig shows the music hasn’t stopped for the Denver area rental market. The average monthly rent in an apartment rose to a record $1,454 in the Denver area. That is a 3.9 percent increase from a year ago. That might seem modest in the wake of fairly recent double-digit rental market increases. Still, a 3.9 percent increase is about double the inflation rate. The rental market absorbed 3,872 units. That “blew the record away” of the previous record set in the second quarter of 2017. The recent rental absorption record is 37.4 percent higher than the previous record of 2,818 units. The overall rental vacancy rate fell a “sizeable 61 basis points” to 5.18 percent. A basis point is one hundredth of 1 percent. Jeff Hawks, who has sold more than $5 billion in rental properties in his more than 30 years as an apartment broker in Denver, said there are a lot of reasons why the robust rental market is not heading south. 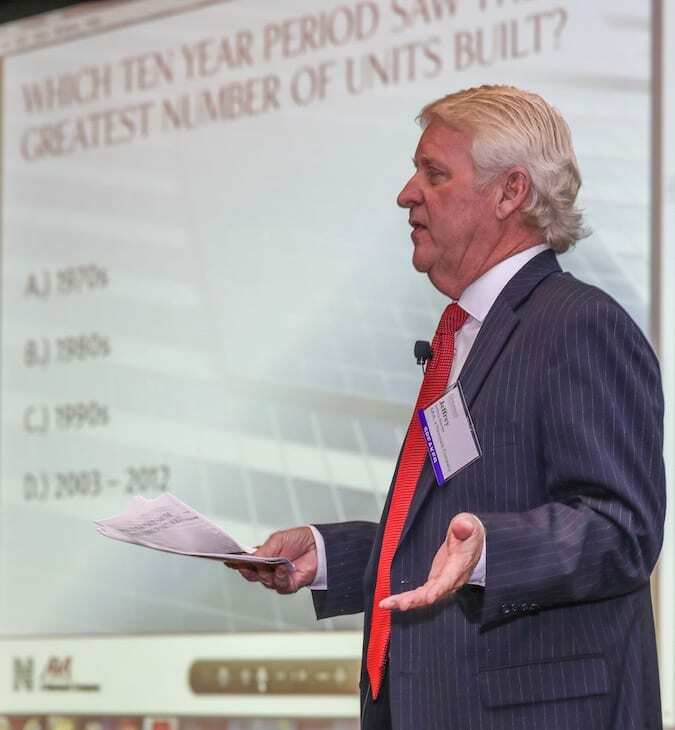 Jeff Hawks is shown giving a presentation at a Colorado Real Estate Journal multifamily conference in 2017. Photo Credit: Rocky Mountain Photography. First, though, Hawks, a vice chairman at ARA Newmark, cautioned that it is always better to look at year-over-year data, as a quarterly report might reflect a blip that makes the market look stronger or weaker than it is. Also, there probably is a bit of seasonality to the second-quarter numbers, especially regarding absorption. That’s because a lot of leases don’t expire during the winter months, and, frankly, many renters don’t like to move when it is cold outside. That can lead to more leasing activity in the spring and summer months. Absorption has been strong across all geographic markets. And because leasing activity has been strong, many rental landlords are reducing or eliminating concesssions, such as free rent, Hawks said. 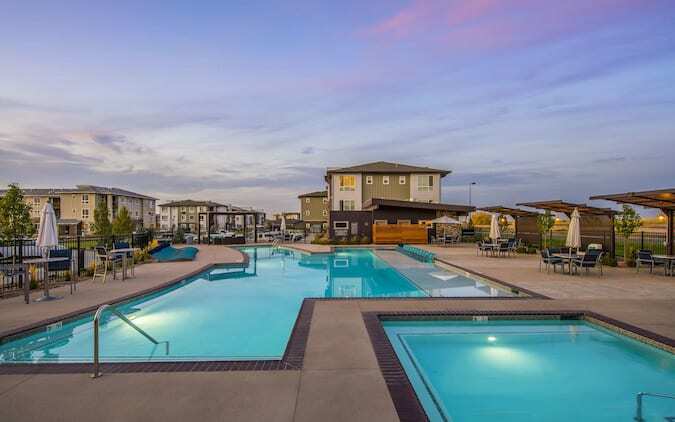 Three communities that recently have boasted strong leasing activity include the Strata Apartments in Green Valley Ranch, near Denver International Airport; the Ironwood at Red Rocks in Littleton; and the Ridge at Wheatlands in Aurora, according to research by Amanda Meldrum, a senior transaction manager at ARA Newmark. At Red Rocks at Ironwood, for example, in March it was giving a month of free rent to those who signed a lease. “Three weeks ago, they got rid of all concessions,” according to Meldrum. And at the Strata, each of the community’s five buildings were almost 100 percent preleased by the time they received a certificate of occupancy. “Many floorplans even had waiting lists,” Meldrum said. Hawks noted that the last time the Denver area rental market was firing on all cylinders, like it is has in recent years, was in the early to mid-‘70s. In decades past, once a young person had been in the workforce for a while, he or she could afford to buy an affordable condo in the Denver area and trade up to a single-family home. With the average price of a single-family home topping $500,000 in the Denver area, a large number of people have no choice but to rent, Hawks pointed out. “It’s just insane,” Hawks said. 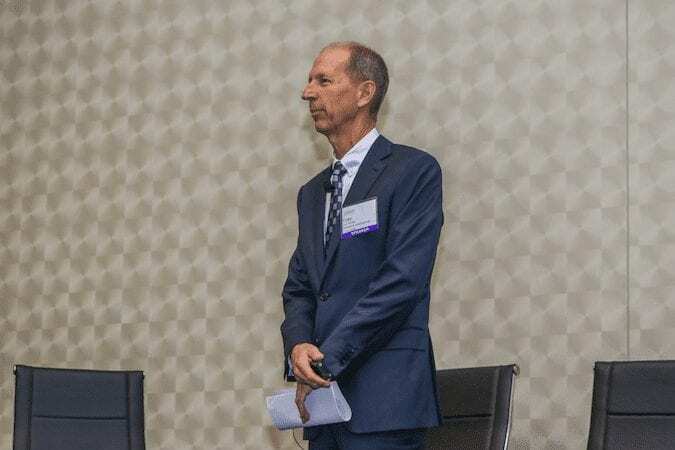 Cary Bruteig shown at a CREJ multifamily conference in 2017. Photo Credit: Rocky Mountain Photography. In fact, Denver was one of the few markets in the U.S. that continued to experience rising rental rates even during the Great Recession. Wherever you go, the No. 1 topic seems to be the cost of rental and for-sale housing in the Denver area. For example, every time a Lyft driver asks me what I do for a living, I get an earful about how much he or she is paying in rent. One driver told me he is working seven days a week and two jobs, largely to pay his rent, which has doubled from a decade ago when he moved to Denver. Riding on the 16thStreet Mall bus, when I eavesdrop on a conversation (yeah, I do that), it’s common to hear millennials lament the sticker shock they are experiencing when they are checking out the downtown rental market. “There is no easy answer as far as solving the affordability issue,” Hawks said. For one thing, builders can’t construct enough housing to meet the demand. “I thought it was really interesting that at a Colorado Real Estate Journal multifamily conference last year Cary (Bruteig) said that homebuilders tell him they can’t build more than 10,000 houses each year,” given the shortage of construction workers and the time it takes to get entitlements from local municipalities. “I honestly think what is going to happen is that, given the labor shortage, employers are going to start paying workers more, which will make it easier for them to afford to rent an apartment,” Hawks said. I told Hawks that while he wasn’t surprised by the continued strength of the Denver rental market, a lot of people probably are expecting it to soften. 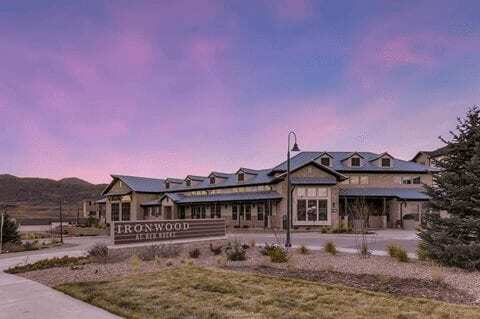 The Ironwood at Red Rocks is enjoying robust leasing and absorption. Given Denver’s long history of a roller-coaster real estate economy, it is natural to think this cycle is drawing to a close. After all, when experts say this time is different, that usually portends a crash is around the corner. “But I think if you gave economists all of our fundamentals – in-migration, job creation, new construction and so on – and you didn’t tell them the name of the city, most would agree that the other shoe isn’t going to drop and this will remain a tight, increasingly expensive rental market,” said Hawks.